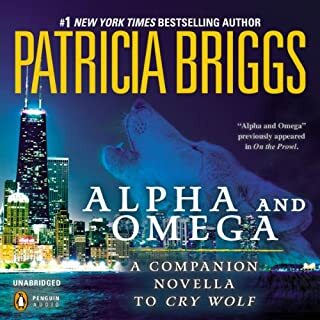 Whether wolfing down a holiday feast (use your imagination) or craving some hair of the dog on New Year’s morning, the werewolves in these 15 frighteningly original stories will surprise, delight, amuse, and scare the pants off listeners who love a little wolfsbane with their mistletoe. 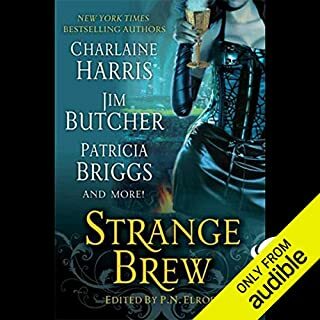 Authors include Charlaine Harris, Toni L. P. Kelner, Patricia Briggs, Keri Arthur, Carrie Vaughn, Donna Andrews, Simon R. Green, Dana Cameron, Kat Richardson, Alan Gordon, Dana Stabenow, Joe Konrath, Nancy Pickard, Karen Chance, and Rob Thurman. 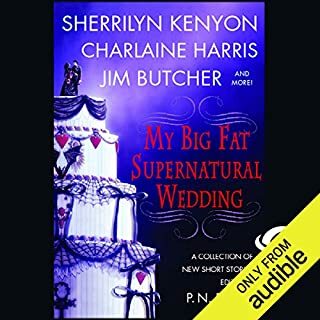 ©2008 Charlaine Harris Inc., Toni L.P. Kelner, and Tekno Books (P)2010 Brilliance Audio, Inc.
Great asortment of Christmas story for the vampire read. Some made me laugh at loud. 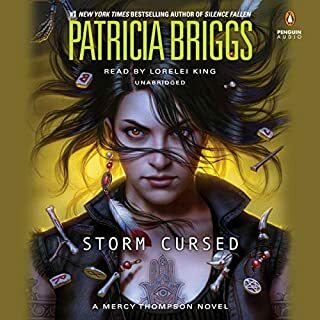 The short stories made me think about reading more from several of the other authorys. In this anthology, each author was asked to write a short story which included a werewolf or other supernatural creature and Christmas. I didn't like all the stories, but I tend to be picky. There were enough good ones that I don't regret spending my credit on it. I will rate the stories individually. I knew some of the authors, and was very happy with what they offered.I also got to know a few new ones. Karen Chance and Carrie Vaughn. You can't go wrong with this anthology. Sometime I laughed out loud. 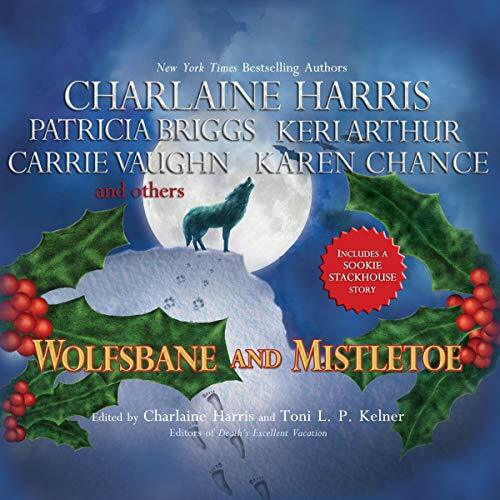 What did you love best about Wolfsbane and Mistletoe? Enchanting collection. I do not like short stories and I found this highly engaging and entertaining. Serious work and not a candy coated Christmas series. What was one of the most memorable moments of Wolfsbane and Mistletoe? The refreshing use of holiday theme. So varied from author to author and all good. What about MacLeod Andrews and Tanya Eby ?? ?s performance did you like? I was very pleased with it. Listened due to the holidays but it was so much better than I expected. I did like a few of the stories but had to stop reading after the 2nd serial killer story. I get that this genre invites a horror element due to the supernatural aspect of the main characters but geez it is the Holidays people. Do you have to kill Rudolph and chase serial killers? I guess I'm just a sissy but I don't want to read serial killer stories in general and especially ones set at Christmas time. Yuck. 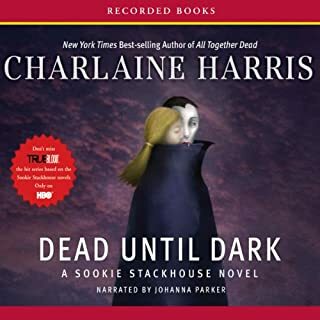 The narration did nothing to enhance the stories and distracted from Sookie's in particular. 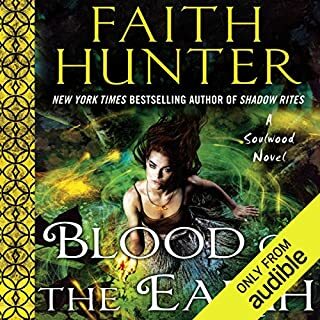 if you like twilight and other tween type vampire stuff like that, then buy this. However, if you are a grownup, don't. The performances were superb! Some stories were better than others. Some cheesier than others. But hey, all in all, well worth the listen. Ive had this for a few years now and listen to it every Christmas. the stories are like every other Christmas Classics that you can Listen to over and over,year after year. second to last story is my favorite. the narrator makes the characters come alive. Perfect spice for the Christmas season!